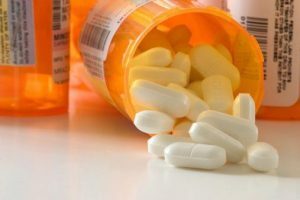 Many people err in thinking that prescription drug related offenses are “no big deal.” This mistake is made out of a belief that such narcotics are not seen as dangerous, given that doctors prescribe them. The truth of the matter is that prescription pill abuse is on the rise and prosecutors take such matters very seriously. An Illinois conviction can result in incarceration, a permanent criminal record, fines, and more. Having a lawyer to assist you with the process can help to ensure that you end in as good a position as possible. I am a Peoria criminal defense attorney defending those who face prescription drug charges. Call my office today to schedule an initial consultation. Prescription pills are similar to other controlled substances in that they are divided into “schedules.” The more addictive a pill is, and the lower its medicinal value, then the higher the schedule it will be placed in. Schedule II substances will include morphine, opiates, amphetamines, and opium. Schedule III narcotics include codeine, hydrocodone, ketamine, and steroids. Pills such as Xanax and Valium will fall within schedule IV. Wrongful possession of such substances can carry penalties as high as a Class X felony, which imposes a sentence of six to thirty years in prison. Felony matters involving a prescription narcotic will be heard in the Illinois Circuit Court. The case will begin with the prosecution either gaining an Indictment from the Grand Jury or holding a preliminary hearing. The defendant will then enter a plea of guilty or not guilty at an arraignment. Like many other drug possession cases, such matters often hinge on whether or not the police violated the defendant’s rights when the narcotics were found. If a violation occurred then counsel will be able to request that illegally seized evidence (the pills) not be admissible in Court. If this request is granted then the case may be dismissed. If the drugs are ruled admissible then the defendant will need to either accept a plea offer or take the case to trial. It is crucial that a defendant retain an attorney to assist them with this process. As a Peoria criminal defense lawyer, I defend those facing prescription related charges. Once retained, my office will acquire the police reports and any other relevant evidence. If your Fourth or Fifth Amendment rights were violated then I will file a Motion to Suppress with the Court and will aggressively question law enforcement at an evidentiary hearing. If necessary I will take your case to trial and ensure that your rights are protected throughout the process. As an attorney, I have been practicing law for over twenty years and devote my practice to defending the rights of the accused. I am ready to assist you. Contact my office today. In addition to Peoria, I service the cities of Bloomington, Decatur, Eureka, Galesburg, Morton, Normal, Pekin, Springfield, and Washington. I also serve the counties of Fulton, Knox, LaSalle, Marshall, Mason, McLean, Putnam, Rock Island, Schuyler, Stark, Tazewell, and Woodford. I also handle federal cases in Urbana. You have enough to worry about if you have been charged with a prescription drug related charge. You are likely worried about your freedom, how your career will be impacted, as well as other considerations. You need an attorney who is there to address these concerns. I pride himself on providing a high level of service. I promptly respond to phone calls, quickly respond to emails, and ensure that you know what to expect as the case moves forward. My firm is built on the idea that everyone is entitled to respect and this is my promise to each and every client.